Avoid Paving Your Yard – This tip does not mean that you shouldn’t install a patio or pathways – just that you should break them up to some degree. For example, slate tiles instead of continuous concrete allows water to naturally infiltrate the ground and not just runoff into the sewer system. Use Gravel and Stone Beds – Adding these features to your property – especially where runoff water accumulates – will help avoid soil erosion and ease the flow of precipitation back into the water table. 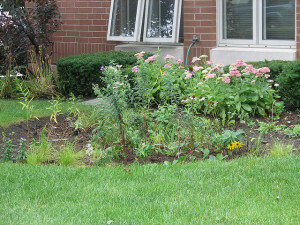 Plant a Rain Garden – Similarly, planting the right types of plants around the periphery of your building and near the building drainpipes will slow the runoff and let the water flow back naturally to the water table. For more information or if you are looking for a commercial landscaping firm in Atlanta, visit us online or phone directly to 888-210-1116. Outdoor Expressions – Making your outdoor space a place to remember. What are the signs of damage? Plants with newly brownish areas or ones that have suddenly wilted after a cold snap have usually been affected by the cold. What causes the damage? While frost can develop at a few degrees higher, the real damage to plants is done when the temperature drops below 32 degrees Fahrenheit. Below this temperature, water freezes on the surface of the plant and even inside it – bursting many of the plant’s cells. What can you do to remedy the situation? It is best to be proactive by using mulch to help protect the roots and to cover the upper areas with cloth before the cold sets in. 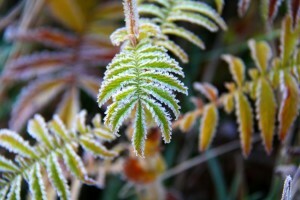 For more information on frostbitten plants and other winter gardening tips, please visit us online or call us directly at 888-210-1116. Outdoor Expressions – Make your outdoor space a place to remember. Top Dress with Compost – In addition to adding a wide variety of nutrients to the soil, compost helps retain moisture in the soil and also protects plant roots during extreme weather. Use the Right Organic Fertilizer – Every plant has a recommended type of fertilizer so do not try a “shotgun’ approach. Check the Internet or, better yet, consult a local professional horticulturalist. It takes a little more effort to apply the different types appropriately but the results are well worth it. Do a pH Test – Amazingly, many gardeners fail to take this incredibly important factor into consideration when planning the feeding of their garden. The pH affects everything from how green the leaves will be to how fast the other nutrients are absorbed. Looking for a commercial landscaping firm in Atlanta? Please visit us online or phone us at 888-210-1116. Outdoor Expressions – Making your outdoor space a place to remember. 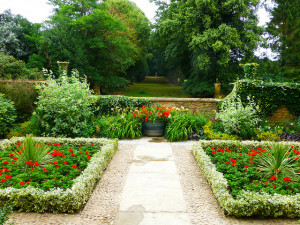 The Secret Alcove – Find a corner of your landscape and, with clever gardening choices or beautifully designed hardscaping, create a secret alcove retreat from the world. Style it with plants and outdoor accessories that inspire you and bring out comfortable and hardy outdoor furnishings to make a cozy spot to take your notebook and cup of coffee. It’s the perfect place to write the next great American novel! A Garden Shed – A garden shed can be used for so much more than simple tool storage. For artists, a shed with windows makes the perfect secluded space to work on their masterpieces, far from distractions or anyone who would be upset by getting a little paint on the floor. For writers, it’s an all-weather retreat where you can place a desk by a window overlooking beautiful blooms and write to your heart’s content. It’s also an ideal workshop space for carpenters and other crafters who don’t want to take up space in the garage to do their work. For more ideas on creating the perfect spot in your backyard or for finding the best commercial landscaping firm in Atlanta to help you with the project, please phone us directly at 888-210-1116 or simply visit us online at Outdoor Expressions – Making your outdoor space a place to remember. 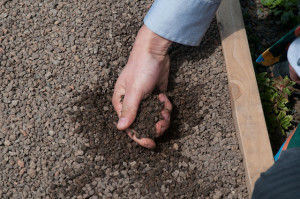 Enrich the Soil – The first step is to create a solid base for any plants that you do decide to plant. In short, the best soil produces the most abundant gardens regardless of any other consideration. Add Terraces – Similarly, plants need access to sunlight. A terraced landscape allows several layers of plants to maximize this resource. In short, do not “bury” plants in the back of a garden. It is a waste of time, energy and money. Use the Walls – Go vertical with escutcheons, hanging plants and trellises. 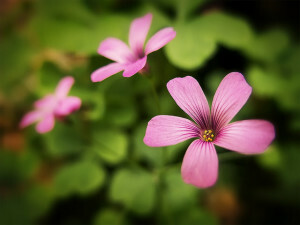 All your senses – sight, sound, smell, feel and even taste, if you grow edible plants – will be happier for the effort. For more information on creating your perfect outdoor space, please visit us online or phone us directly at 888-210-1116. Outdoor Expressions – Making your outdoor space a place to remember. What to Plant – It is simply not realistic to plant the wrong types of plants for your environment. You will needlessly spend time, energy and money on plants that will not thrive. Use local varieties that are accustomed to the conditions. When to Plant Them – Trees and shrubs can be transplanted in late winter – after the last freeze – but bulbs and seeds need to be started earlier. Consider a local professional to understand the timeline of any plants you want to include. Where to Plant – Similarly, some plants love the sunlight while others crave a little shade. Others abhor dryness while their cousins thrive in it. Plant the ones that work best in each particular environment. 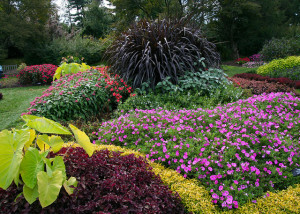 You will be rewarded with an abundant and very colorful garden. For more winter gardening tips, please visit us online or phone us directly at 888-210-1116. Outdoor Expressions – Making your outdoor space a place to remember.